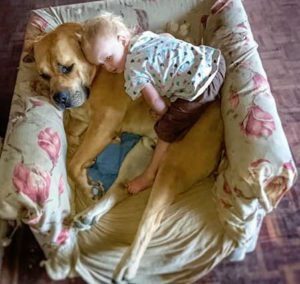 Children living with pets are emotionally, psychologically and possibly even physiologically better off than those living without. That’s the conclusion of a wealth of international studies, and personal accounts from parents. “Nothing less than alchemy is involved when animals and children get together, and the resulting magic has healing properties that work well,” wrote psychologist Elizabeth Anderson in her 2008 book, The Powerful Bond Between People and Pets. “Pets make great friends. 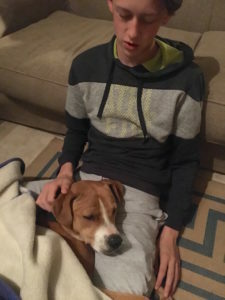 They’re the buddy that will play chase or hide and seek with you, share your snack or sit with you when you are feeling unwell,” says Country Animal Clinic veterinarian Dr Adri Rossouw. “Having dogs also encourages us a family to spend more time outdoors, which I know is good for everyone. 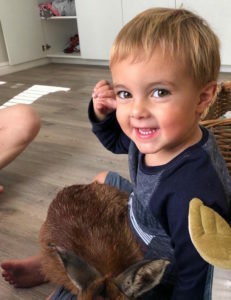 “A child who learns to care for an animal, and treat it kindly and patiently, may get invaluable training in learning to treat people the same way,” says the American Association of Child and Adult Psychiatry. “Careless treatment of animals is unhealthy for both the pet and the child involved,” . Tracey Michau is mom to two-year-old Savannah. They live on a farm near Cradock in the Eastern Cape and Savannah is constantly surrounded by animals. The family has four cats, three dogs, and 15 donkeys, plus a large herd of goats, chickens and regular visits from tortoises and meerkats. Savannah loves them all. “From the day she was born we introduced her to all of our animals. Most interesting was the reaction from our rescue herd of donkeys. They formed a circle around me and Savannah and wouldn’t budge. The matriarch acted very protectively towards Savannah and chased the others away returning to put her muzzle close to her head. It was really special to experience and see how gentle and intelligent these animals are,” says Tracey. Tracey, who is herself passionate about animals and wishes she’d become a vet, believes growing up with pets teaches children compassion, kindness and responsibility. 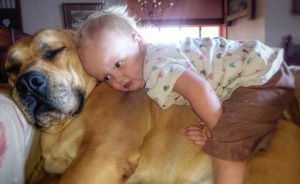 “Savannah wants to hug and feed every animal she comes across. She helps us to feed them and as young as she is, she takes this role very seriously. Dr Adri is mom to two children under the age of 5. Remember, a pet is for life, not just for Christmas!